Engine Four stroke, parallel twin cylinder, DOHC, 2 valves per cylinder. How to make a fast getaway, and do it on the cheap. 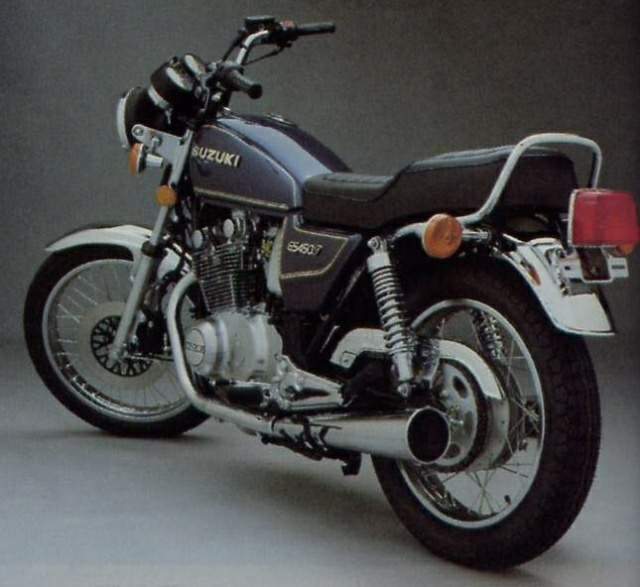 Back in 1982, Suzuki blew its corporate trumpet over the GS450TXZ. The marketing department had the high-energy 450 priced at $1649, only a toot more expensive than a used song flute. Here we are a year later, and Suzuki has dropped the price to $1349. Amazing. It's like being able to buy the high-school band for the price of a wax-pa-per-and-comb harmonica. Most econo-box engines, like most presidents, aren't great; they are just there, dutifully occupying space, providing power, and being pedestrian. The GS450 engine-series is quite another matter. The GS450 has the charisma of a bona fide virtuoso. It loves to howl; it thrives on revs. The engine transmits a sense of urgency and excitement. Some people call motorcycles like the GS450TXZ "beginners bikes." Would that all begin-o-bikes were as charismatic as mechanical things. If so, motorcycling's future would be bright enough to be insured by Lloyd's of London. however, tell the player so much, and no more. The rest is in the playing, in the way the machine hums. 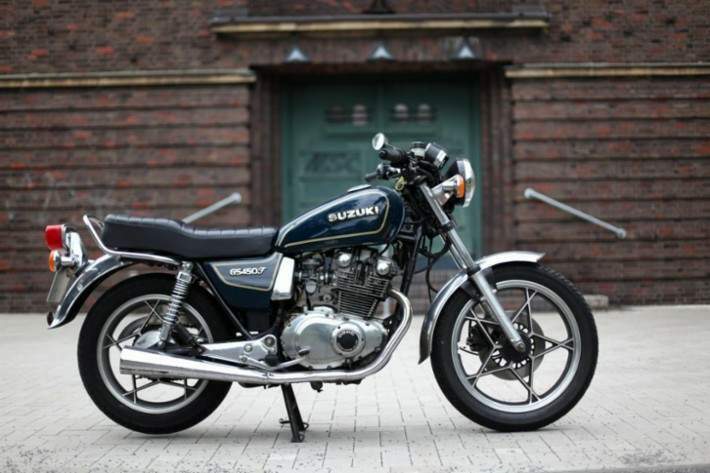 For instance, the Suzuki's counterbalancing system, geared rather than chained, always keeps the engine smooth, without intermittent tremors at particular engine speeds. ment. Nevertheless, you won't sui status deprivation in the school parki lot, nor will your friends wonc whether you buy your sports shirts some pipe-rack store off fashi square. Suzuki engineers had the go sense to keep the essentials on t scooter—the bike includes be sidestand and centerstand, for exa pie. Beginners may think a sidesta will suffice, come what may. A lov thought until you try to adjust or lu the drive chain, fix a flat, or make I motorcycle fit a narrow space in garage. In the end, though, the engine is I message. Remember, you'll only sr. a good deal by spending the savings traffic court.